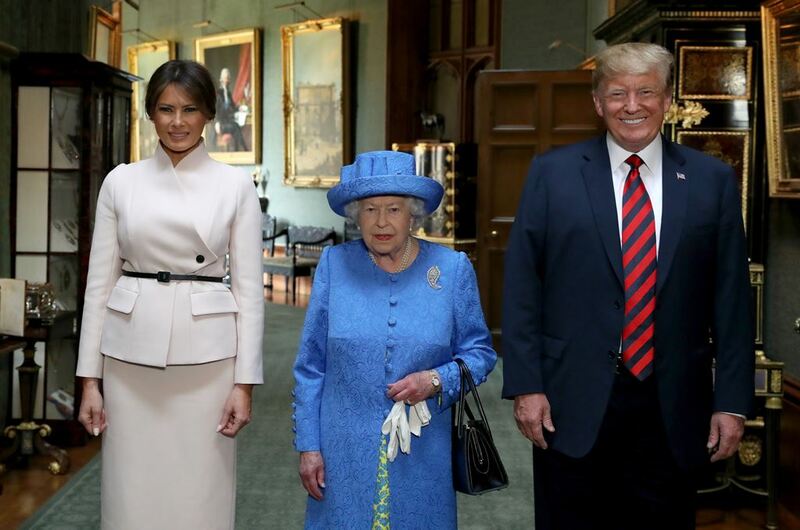 Thanks to those of you who have emailed and tweeted at me this thread about Queen Elizabeth’s brooches during Donald Trump’s visit to England last week. It’s how Her Majesty shows her work and this is something we talk a lot about on the Show Your Work podcast and here on the blog: how fashion and style can be an extension of personal value, a method of communication. Which means that there is social value in fashion. I wish I didn’t have to keep coming back to that again and again and maybe I won’t have to anymore. Maybe we will no longer have any incidents of any celebrities on red carpets bitching about having to talk about fashion. Maybe they’ll all finally get it, even Blake Lively. We know that the Queen cares about the details. And that her staff understand the importance of details. Symbolism is in the details. And she herself is a symbol, a duty she has dedicated her entire life to. Everything she does, then, is symbolic – from what she says, to how she says it, to what she wears, to how she wears it, and when. To dismiss the brooches, as coincidence or accident or just because she felt like it, would be to suggest that the Queen and her advisors weren’t paying attention, that they were half-assing their jobs. Which, actually, when you think about it, is hilariously another form of shade. So? Was the Queen deliberately shading Donald Trump with her brooch game? Or was it shade by indifference – that she had so few f-cks to give about his visit that she and her team took a mental day off?